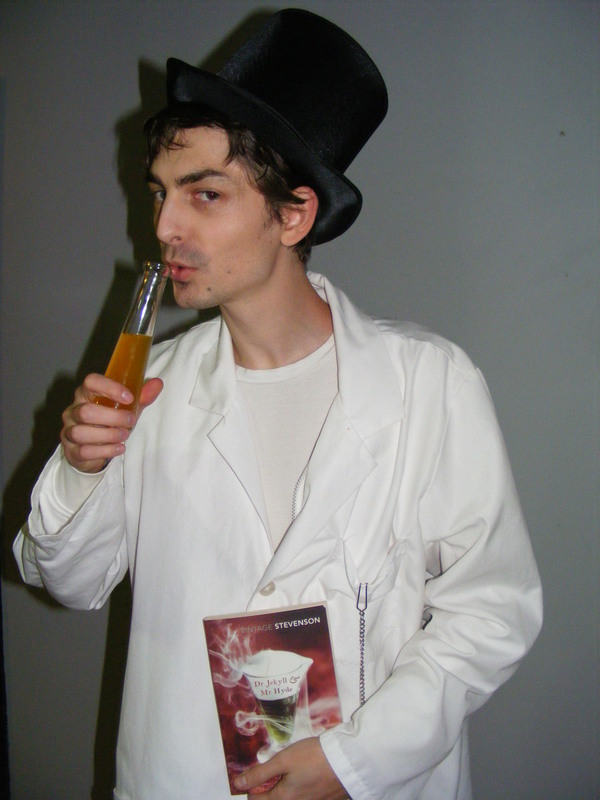 On the weekend, I turned 27. to celebrate, we had a literary themed party. 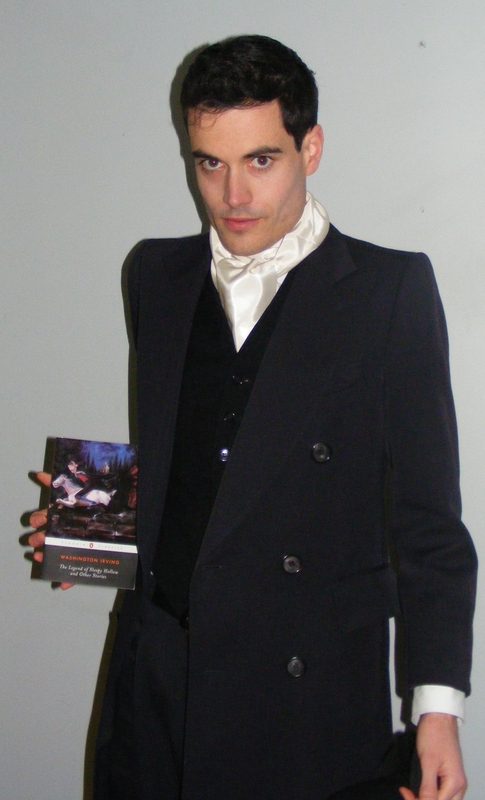 We asked everyone to come dressed as one of their favourite characters from literature. 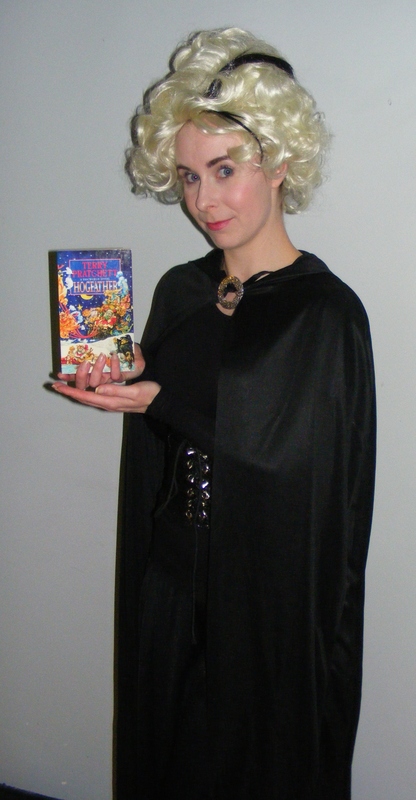 I had a few ideas for characters to dress as, but in the end I settled on dressing as Susan Sto Helit from Terry Pratchett’s Discworld series. 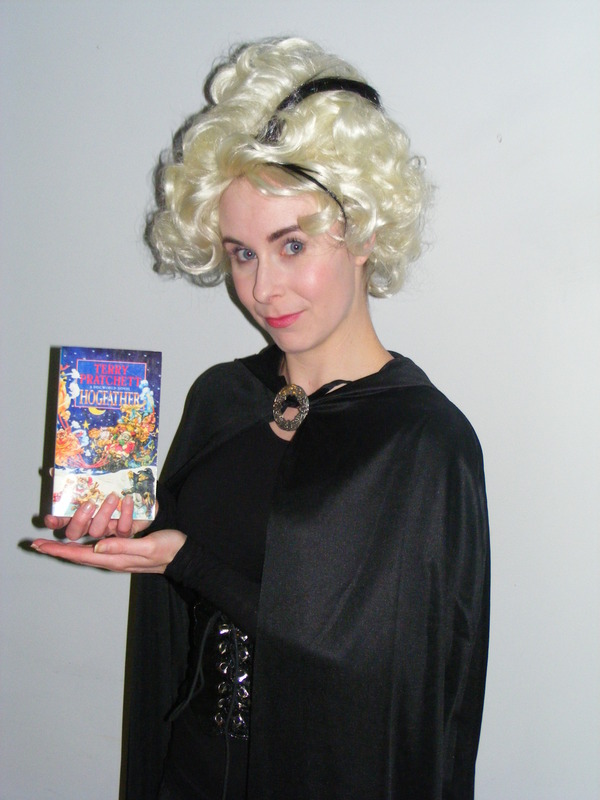 Susan is Death’s granddaughter, and she features in several of the Discworld books. 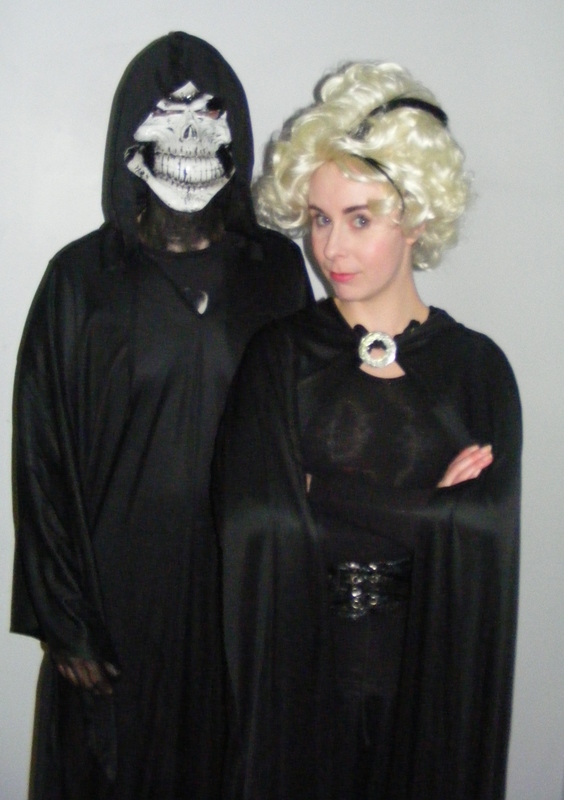 She’s a major character in Soul Music and Hogfather, which are two of my favourite Pratchett books. Susan has a very no-nonsense approach to life, and operates under the mantra, “Don’t get scared, get angry”. She has some supernatural powers and often steps in to take over the family business when Death takes a holiday. I’m quite seriously thinking about wearing my Susan costume to Oz Comic Con this year. What do you think? 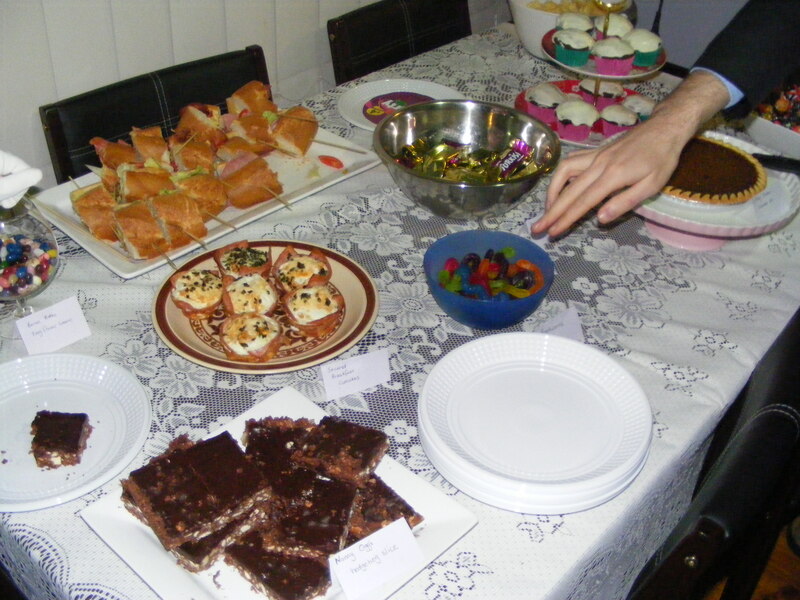 Of course, it wouldn’t be a party without plenty of party food. My ‘no sugar’ kick went out the window for the night. I made little placecards to go with each dish, and we tried to think of food that fit with the literary theme. We had Turkish Delight from The Lion, The Witch and the Wardrobe, Nanny Ogg’s Hedgehog slice, Minny Jackson’s chocolate pie (from The Help) and Velveteen Rabbit cupcakes. I got loads of gorgeous presents for my birthday too. There were too many to photograph, so I just chose a couple of my favourites. 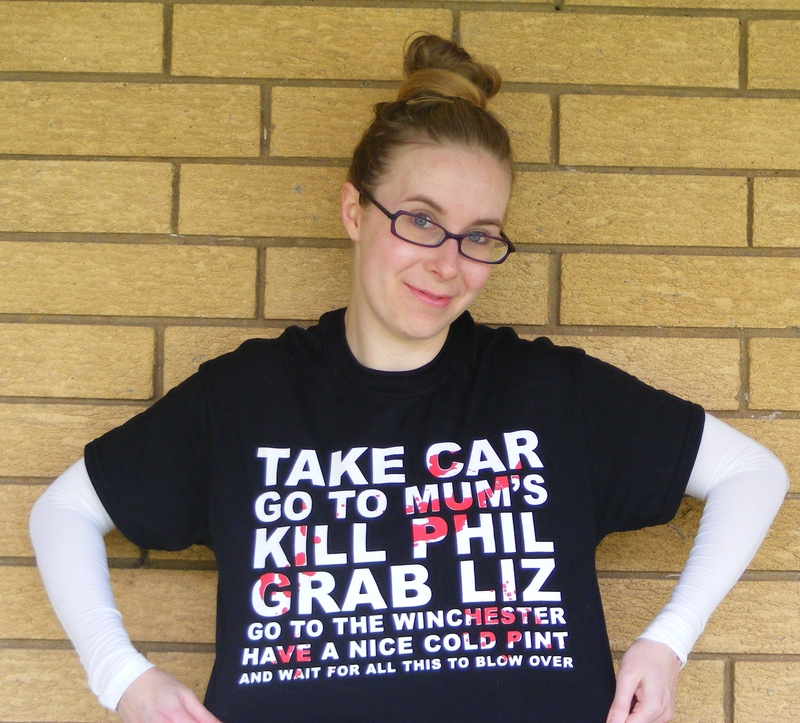 My parents got me this Shaun of the Dead shirt, printed with Shaun’s plan to survive the zombie invasion. 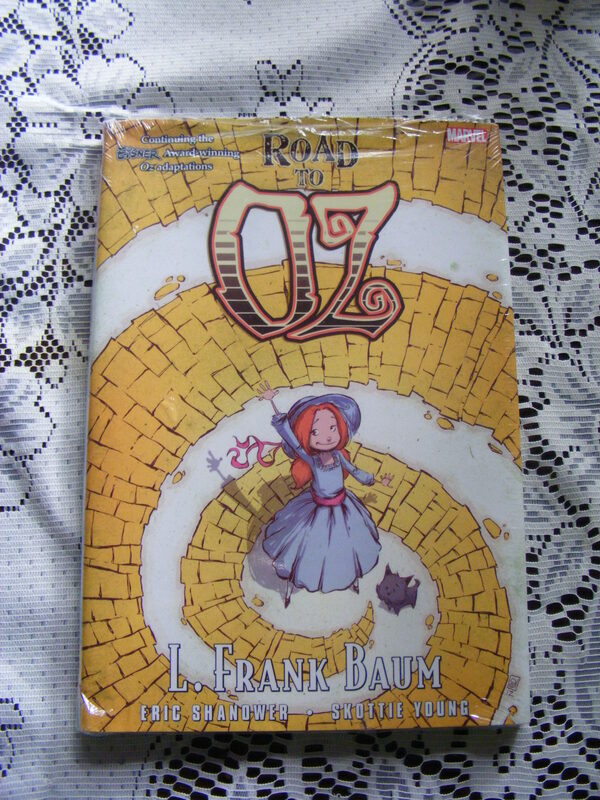 Ross bought me the newest installment in the Shanower/ Young comic adaptation of the Oz books. I can’t wait to read it. 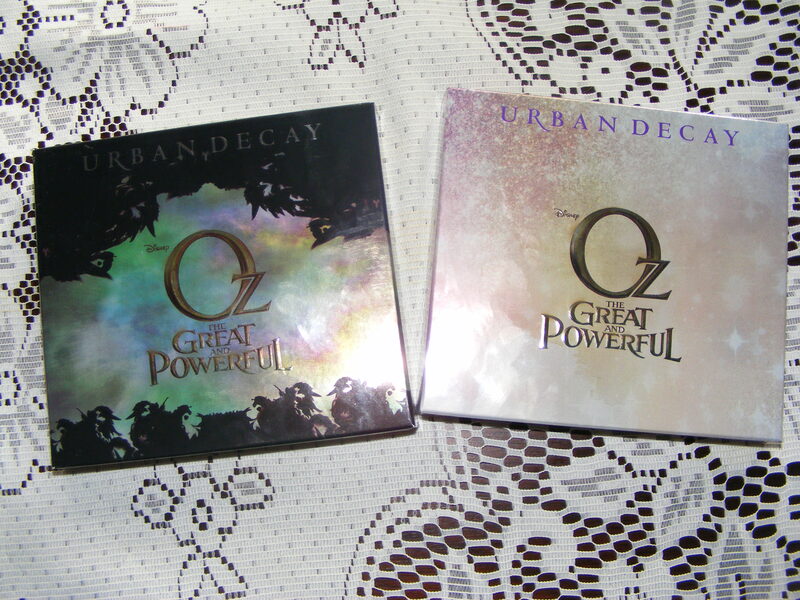 Ross also got me these two limited edition Urban Decay palettes. These were released to coincide with the film Oz, The Great and Powerful and I wanted them from the moment they were announced. Sadly, Urban Decay don’t ship to Australia, and Ross had to go through all sorts of crap to get these to me. He’s been fighting with Urban Decay for about five months now. But they arrived just in time for my birthday, and I couldn’t be happier. There are two palettes, one for each of the witches. This one is the Glinda palette, with loads of shimmery, ethereal shades. The Theodora palette is much darker and more dramatic. They are such good quality and I’m so pleased to have them. All in all, it was a really great birthday. Now all that’s left to do is clean up the mess! 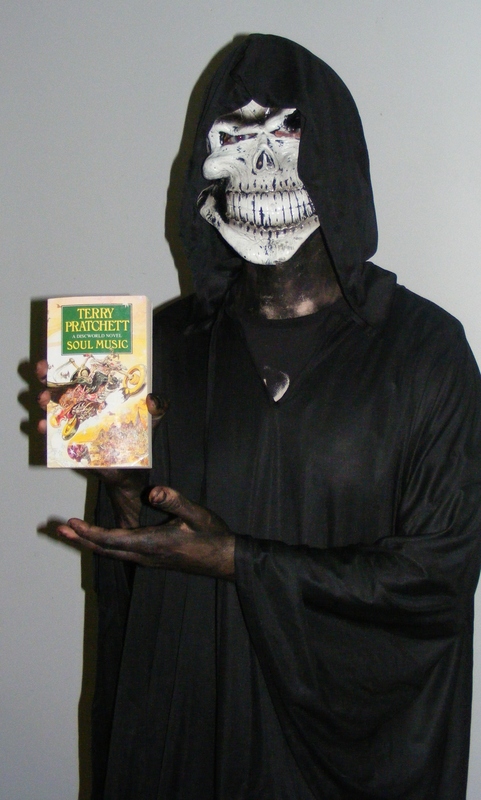 I’ve never read Discworld but I love that costume! I wanted to have a costume party for my 27th birthday recently, but I was not so sure my friends would participate…maybe next year. The Discworld books are fantastic. You’d probably enjoy them if you like fantasy stories with a clever and funny twist. 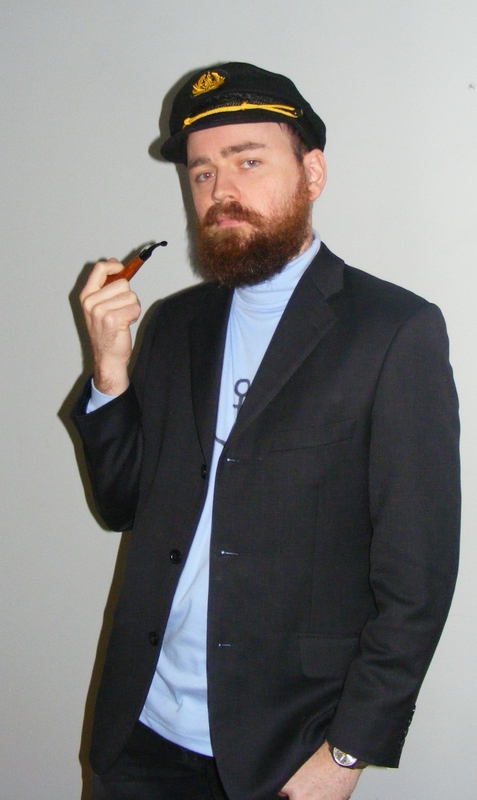 I have costume parties pretty often, and it can be difficult to get people to participate. But this year everyone got really into it. Even my mum dressed up! I wrote a comment but wordpress ated it. Boo! It looks like you had such a great party! 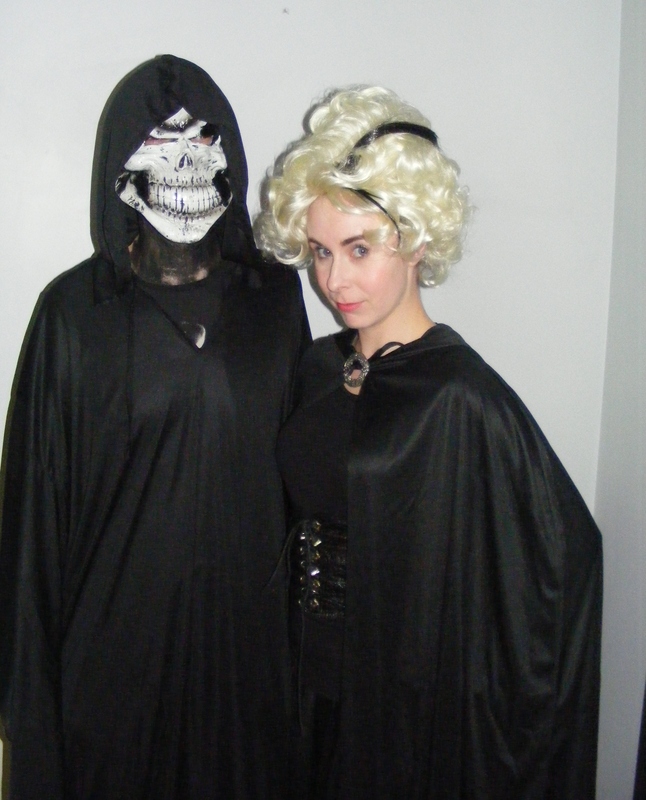 I’m glad you had a fantastic time.You looked amazing, as do the other characters!! It was a great party. I have been wanting to dress up like Susan for ages, and I am really happy with the way this costume turned out. I was so impressed by everyone’s costumes. Looks like such an amazing day! Glad you had fun! You look amazing, as do the other characters! Ahhhh, I love your outfit and Ross’ too!!! Also, what awesome gifts. I love the Urban Decay palettes! Swoon!!! 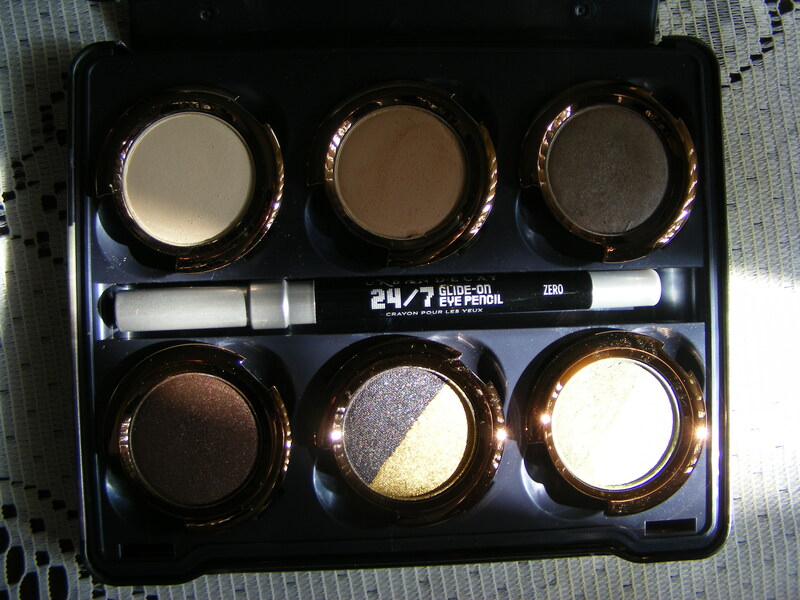 I was bowled over when I opened the Urban Decay palettes. I saw them online when they first came out, but I’d resigned myself to the fact that I wouldn’t be able to get them. I hadn’t counted on having an awesome boyfriend who would do battle with Urban Decay to get them for me! I wish you could have been here too. We’d have had loads of fun!